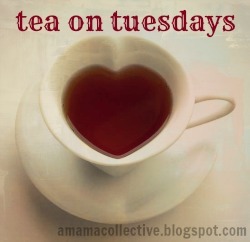 Tuesdays I dedicate to having a virtual "tea" with my peers, you. These are all blog posts that have touched me in one way or another, and I'd love to share them with you. Put the kettle on to boil, grab your cup and saucer, peruse these posts, and tell me what speaks to you. Oh, I'm sure sure I sound like the snarkiest bitter bebe Betty of them all ... maybe I am. And in the mean time I'll just be brave and hide behind my window of internet with the best of them. <--- Tweet this. I looked down at her little happy face, her tiny chubby fingers tugging on my shirt as I held her close. “This is your prayer,” a still, small voice reminded me. Don’t let me forget. <--- Tweet this. Stay weird when you find the cure, build the house, write the song or marry the prince. Stay weird. <--- Tweet this. Maybe he will struggle for his whole life with communicating his thoughts, fears, concerns, and loves. Maybe it won’t be alright. Maybe it won’t be okay. <--- Tweet this. As mothers, we are building great cathedrals. We cannot be seen if we’re doing it right. And one day, it is very possible that the world will marvel, not only at what we have built, but at the beauty that has been added to the world by the sacrifices of invisible mothers. <--- Tweet this.